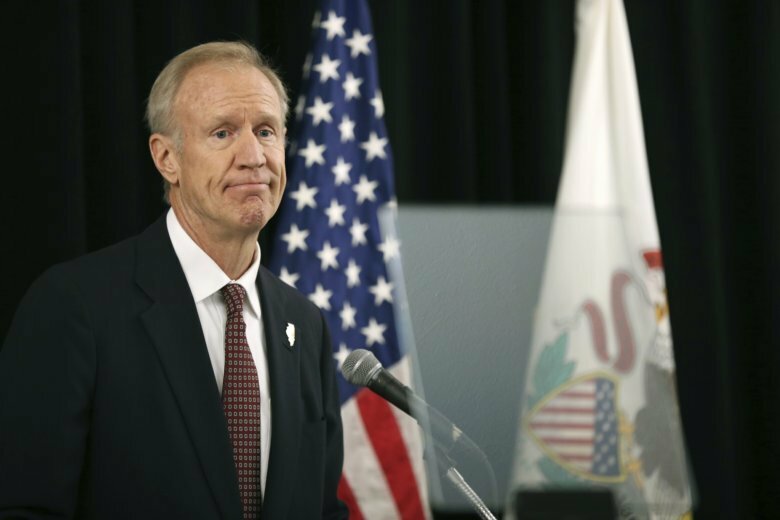 SPRINGFIELD, Ill. (AP) — A humbled Illinois Gov. Bruce Rauner, one of the most endangered state executives in the country, promised Thursday to be less confrontational and more understanding of his political opponents’ views if voters give him a second chance in the November election. Gone was the brash talk of the private-equity investor who once suggested a government shutdown might be necessary to reform the state. Rauner acknowledged that he misjudged the difficulty of government change, and that his stubbornness helped enable a painful, two-year budget standoff with majority Democrats in the Legislature. Pritzker, the billionaire heir to the Hyatt hotel chain who has poured tens of millions of his own money into the race, said in a statement that the governor has been a failure. “For four years, Rauner lurched the state from crisis to crisis, failing to accomplish anything of note on his agenda and wreaking havoc on Illinois’ families,” Pritzker said.